Same squad posts TWO 125’s in the same day. 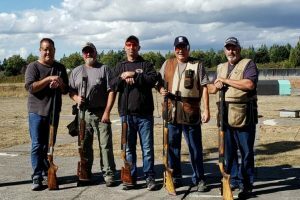 The Portland Gun Club hosted 4 – 100 bird singles events September 16th. This squad had two traps of perfect scores – one in event 3 and another in event 4. Is this a first? 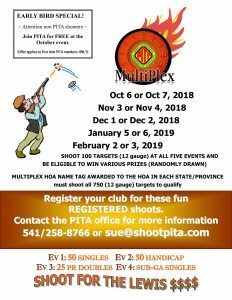 9/15/18 PITA SHOOT UPDATE: This was our Annual Shooter Appreciation Shoot and a great time was had by all; lots of lead was burned, plenty of fish were eaten & LOTS of oysters were enjoyed!! Ole, Don & Marsee did a fabulous job tending to the BBQ, these guys really know how to feed a crowd. 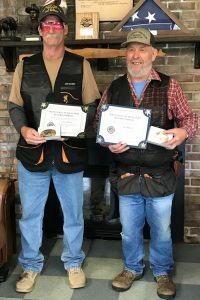 We also had a couple BIG milestones celebrated; Joe Scheef shot his 200,000th target & Les Butler shot his 50,000th target. Have you reached a target milestone? Your total target count can be found on your online average card. Targets shot prior to the year 2000 may not appear on your card so please let us know if this is the case. If you have reached a milestone or are approaching one please contact sue@shootpita.com to arrange the presentation of the award. Some of the custom awards take 6-8 weeks for production so contact us early. See all the PITA awards and those who have recently achieved them on the ACHIEVEMENT AWARDS page. Contact persons name, email and phone number. The 2018 target year ends October 31 and it’s not too early to renew your dues for 2019. Click here for online renewal or renew at the next shoot you attend. 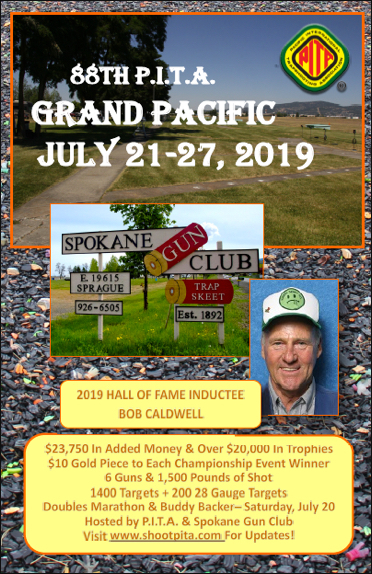 The 2019 life member wallet cards and purchased annual membership wallet cards will be mailed in mid to late November. 2019 online cards will be available as soon as all scores for 2018 have been recorded – usually by the 2nd week of November. 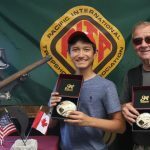 Shoots were held at Vancouver Gun Club (BC), Jefferson Co Rod & Gun (OR), Black Diamond Gun Club (WA), Myrtle Point Sportsmen Club (OR) and Sierra Valley Gun Club (CA). The Summer Multiplex checks have been mailed. Please cash promptly. This goes for all checks you receive from PITA – help us out and deposit/cash them when they are received. More Multiplex information on the Multiplex page …. Barbara Sims of Lynnwood WA and Art Salt of Vernon BC. Congratulations to the newest squads to join the 125 Club. 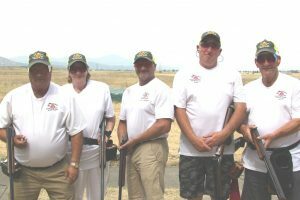 If your squad shoots a perfect 125 on a trap email your photo with names (webmaster@shootpita.com) and join the club. 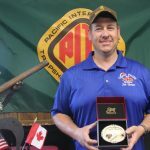 Les Madsen breaks his 500,000th PITA registered target!! PITA congratulations Les Madsen of BC for achieving the 1/2 million milestone target award and YES he broke the target! Trish Fern, Jason Madsen (Les’ son), Dom Stevens and Geoff Fern joined Les wearing milestone apparel for this great feat. 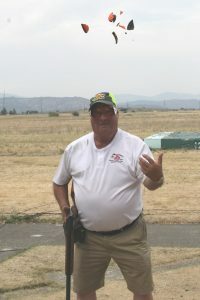 Les joins Gary Morlan for the distinction of shooting 500,000 PITA targets. A bronze plaque will be awarded to Les for this accomplishment. Click HERE to see all the Les Madsen photos. Day one finished with some great scores – ten 100 straights in the singles and four 98’s in the handicap. The average score in singles being 94 and in handicap 88 (a very common average handicap score-see chart below). Temps in the mid 80’s with light breezes….Wednesday – things are warming up! The week ended with a very happy Jason Klingele. 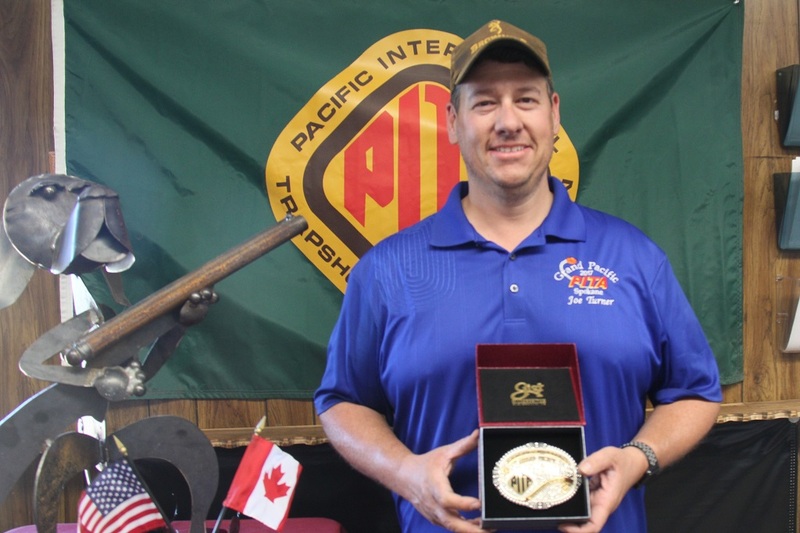 Shooting a 98 in the handicap and winning a three way shoot off with his BROWNING BT99 he will receive $5,000 from Browning. View and download photos – click here.